It is a warm season crop. It is widely grown in tropical and sub tropical and warm regions of the world. Presently for fresh consumption of juicy and fleshy mature fruits. Thus there is a need to improve high quality melons, it can be achieved partly due to good management practices. 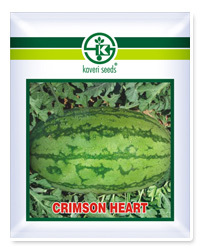 It is one of the most popularly grown fruit vegetable in the country today during summer. It is an excellent source of vitamin C, and A, beta carotene, antioxidant.